A couple years ago I was on a big egg kick. I go through phases where I eat a lot of the same type of food. Eventually I’ll get bored and move on, but not until I try a million different ways to make the same type of meal. Take for instance quiche and frittata. My low carb diet dictated no flour based crust and we went through a lot of eggs for a few months! 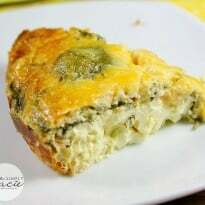 Here’s a quick look at some of the recipes I made: Sausage & Red Pepper Frittata, Bacon & Gouda Frittata, Broccoli Frittata, Turkey Bacon Frittata, Caramelized Onion, Red Pepper & Zucchini Frittata, Pancetta & Onion Frittata, Spinach & Cheese Egg Muffins, Crustless Bacon & Cheese Quiche and Broccoli Swamp. I told you there was a lot of them. Whew! 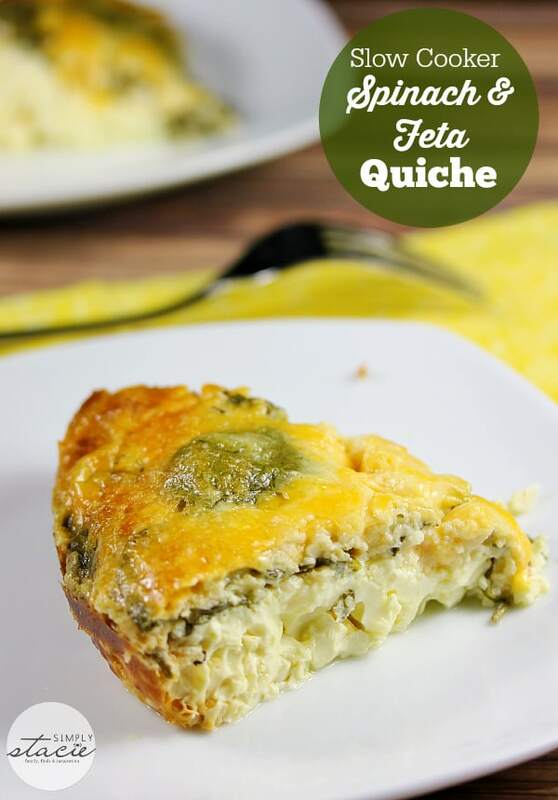 Right now I’m all about the slow cooker and thought I’d try a quiche in the slow cooker and see how it turned out. The first one I made with Ham & Cheese Quiche in the slow cooker. I’ve made this recipe before, but was curious to see how a slow cooker would change the recipe. It was a mega recipe fail. The ham must have released a lot of water in the process because the whole thing was watery and fell apart. No one liked it including me! However, I wasn’t about to give up. I thought I’d try a meat-free option and see how it turned out. I used three types of cheese and some fresh spinach and the result was brilliant! The quiche turned out perfectly. The filling was light and perfectly cooked. 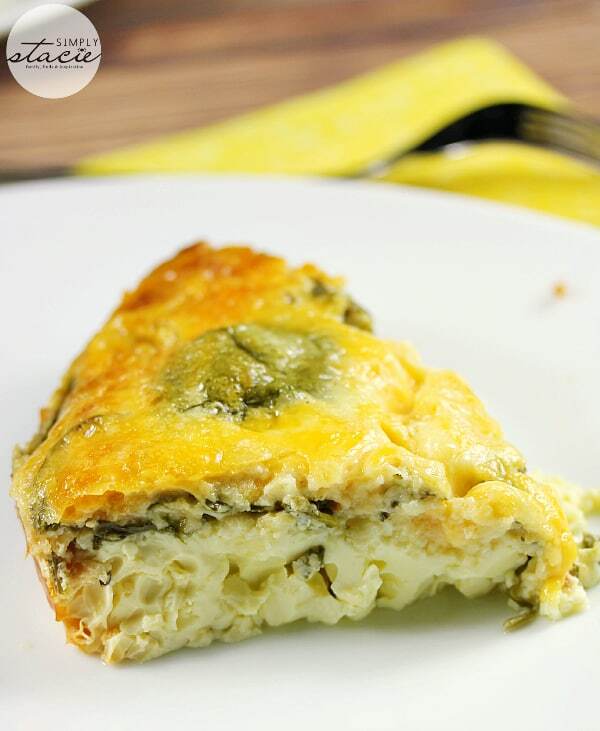 It kept its shape when I cut it into servings and the cheese made a crispy crust – my favouritie part of the dish! Even John who loathes spinach enjoyed it in this recipe. I’m glad I went with fresh spinach and not frozen because I think frozen would have made it runny. Sometimes you have to change things up and try again in the kitchen. I guess in this case the second time was a charm! I think I will try another slow cooker quiche and I’m considering making one with bacon and onions. Hopefully it turns out just as delicious as this recipe! 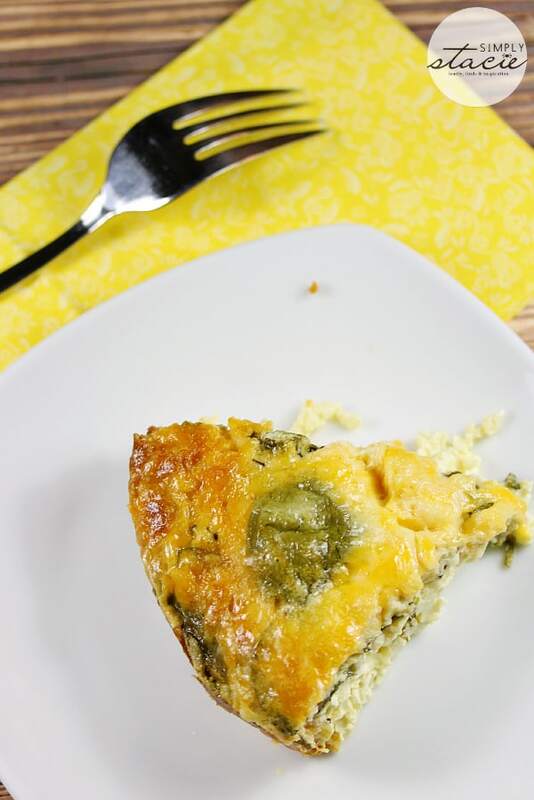 Have you ever made quiche in the slow cooker? 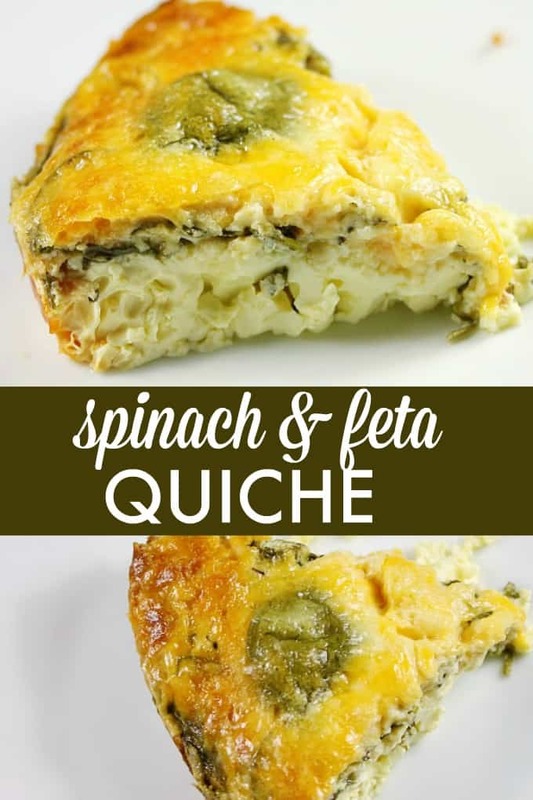 You won’t even miss the crust on this delicious low carb recipe. Add the eggs and milk to a large bowl and whisk to combine. Add in spinach, garlic, feta cheese, Parmesan cheese and salt and stir to combine. Pour into your greased slow cooker and sprinkle the cheddar cheese on top of the mixture.